City gas project on schedule- Kalamassery. 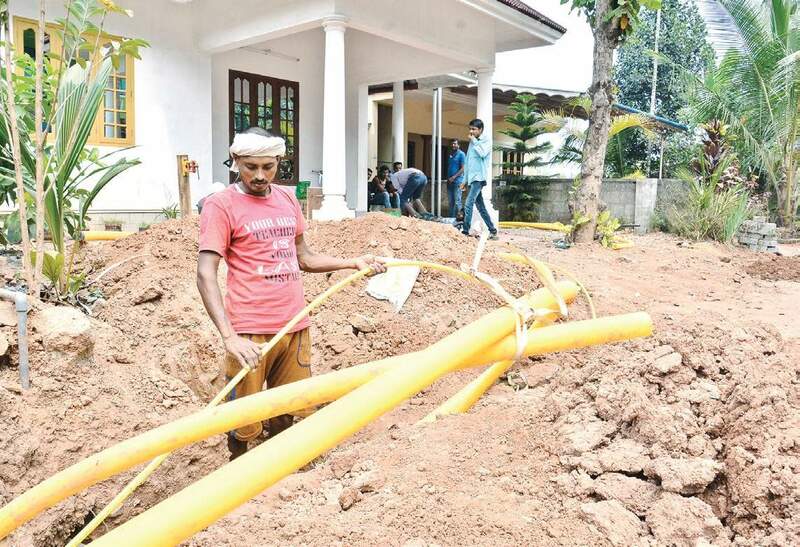 The city gas project, which envisages piped gas connections to Ernakulam district, is slowly chugging along, and around a hundred families in Kalamassery municipality are availing the facility. Officials of Indian Oil-Adani Group are tightlipped about the progress and problems of the project but expressed optimism that the project will achieve its target of 40,701 piped gas connections within schedule. The project work began in 2016, and within 100 days, the joint venture could provide the first connections. The project was formally commissioned with then Chief Minister Oommen Chandy inaugurating the first connection at Kalamassery in February 2016. Among the first connections was piped gas connection to the Medical College at Kalamassery and since then hundreds of families in the Kalamassery municipal area have been given piped gas supply. Though officials of Indian Oil-Adani Gas would not share details of the project or the problems facing it, they said the project was on schedule. According them, people’s fear about the safety of the project has been cleared. Indian Oil-Adani Group also plans to provide natural gas to industrial areas in Ernakulam. The prime locations for supply are the Cochin Special Economic Zone and industrial estates like Kalamassery.